Probability is a math concept that doesn’t come up all that often in everyday life (other than flipping coins) but it’s an important concept for math learners to understand. It’s pretty easy to break down what probability is — the likelihood that a certain thing will happen in the future — and probability can be expressed in fractions, which makes them a good building block for other parts of math. 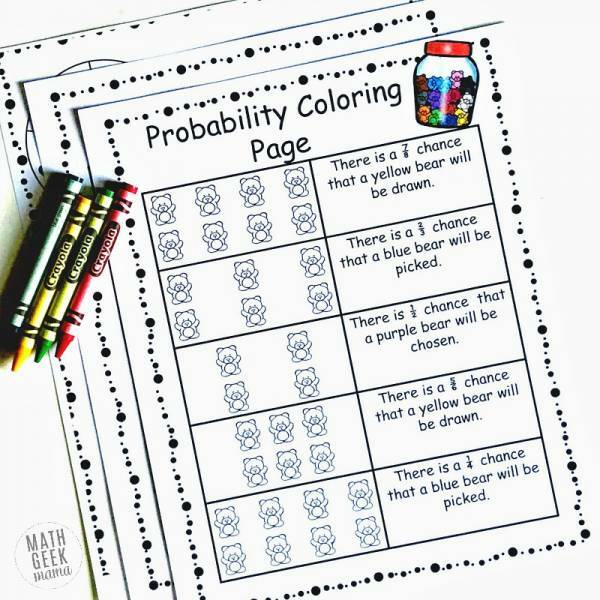 These probability coloring pages from Math Geek Mama are a great way to help kids learn about probability. They use items you might already have, such as counting bears, unifix cubes and playing cards. Check out the post for all the details on how to use the sheets and where to grab your free copies.